PDX Bus - a free Open Source iPhone app for Portland bus and train times: Version 7.2 was released to the app store today! 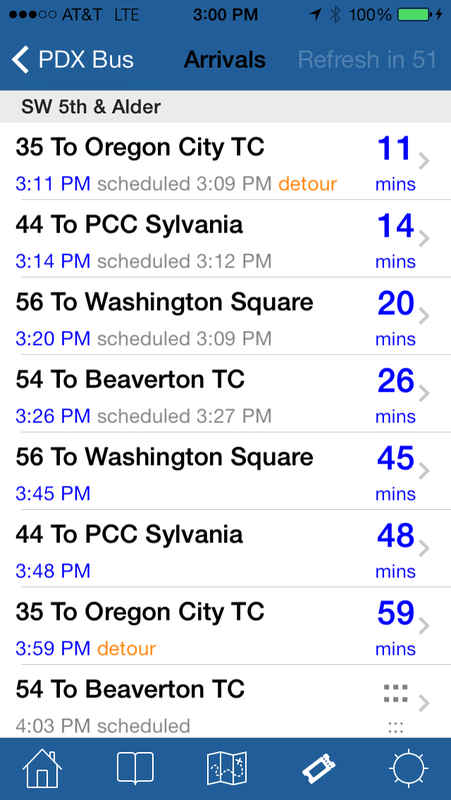 PDX Bus is a free application that displays arrival times for public transport in Portland, Oregon. 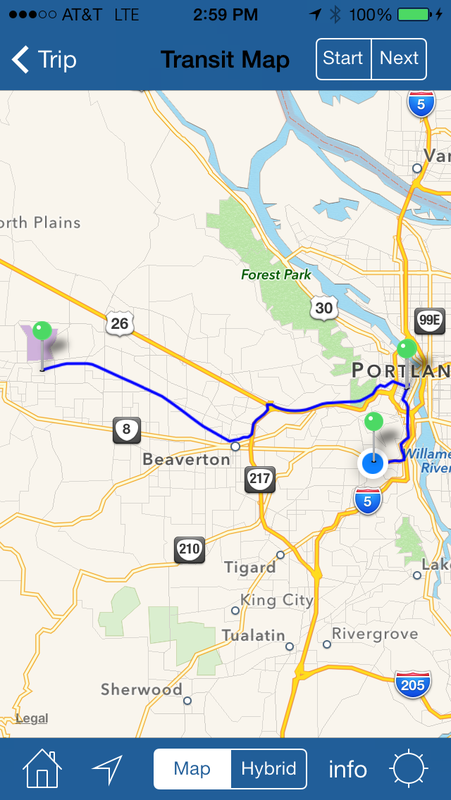 This little application uses the Internet to quickly access TriMet's tracking data displaying arrival times perfectly formatted for the iPhone. This was developed as a volunteer effort to provide a service for TriMet riders. The developer has no affiliation with TriMet. Version 7.2 was released to the app store today! UPDATE: The app has been approved, but it may not be released until after the holidays as Apple is about to shutdown. Let's see what happens! Updated streetcar data source - now the streetcar data comes directly from TriMet. I did this as the Streercar data originally came from a different company, but they keep changing the way the data works which would break all the apps. This won't happen again as now TriMet is also providing the data. Native support for iPhone 6 + 6 Plus screen sizes. New MAX and WES map. Added text to explain the different colors used for the arrival times. Changed the keyboard type to allow emoji again. I've been sitting on this release for a while, and have been too busy to release it (I do this in my spare time!). I'm still working on other enhancements (e.g. prepping for localization, and watch support). One day I'd like to fix the user interface too! Thank you for the update! My ancient iOS 5.1 runs my favorite Trimet app with ease. I need more information - what kind of device & OS version? It still works on my iPhone 6 with iOS 8.1. Thanks. I found there is a strange bug here on all iPads. If you rotate the iPad so it is in portrait mode the control does appear again, I have fixed the issue (will be in the next release). Lately the app has stopped giving me alternative route options. Instead I am getting multiple times for the same route and have started having to use google maps, which doesn't give live arrival times or stop IDs. It's pretty frustrating. a. elliott - Thanks! TriMet has changed the back-end for the trip planner, and have asked me to report any strange behavior. Please can you give me precise details of the routes that do this? Then I can pass it along. I've found a bug in the app. 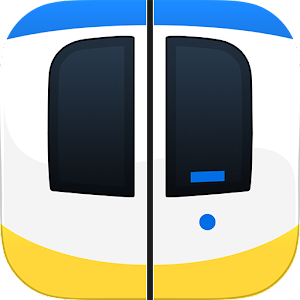 Sometimes when using the trip planner, it will show me a quicker trip if I choose Rail Only than if I choose Bus & Rail. I have screenshots if that would be helpful. Thanks! TriMet has changed the back-end of the Trip Planner and are asking if I see any issues. It's not easy to post pictures in the comments - if you could tweet me the pictures (@pdxbus) or facebook them or just give me some clues as to the routes that cause the problems I will get the data to them. Hi. Is it just my imagination or are there a couple more steps to finding your local arrivals? I don't think i had to choose which bus line before and click "get arrivals"
There are many options when locating stops. If you click on the "locate nearby stops" item (not on the toolbar) you can set the defaults. The line that you want is the "SHOW:" line - it can show the arrivals, a map or the routes. You seem to have the routes selected last time you used it and the app will remember that. Do you control how many future arrivals are listed? I often get only 2 for stop 9837 when I'd like to see further into the future. Hi! I love this app! A question: Where can I find info on what the colors of the "minutes to arrival" mean? I see them in black, red, and gray. Thank you! Jessica - I've added that information to the details page and also in the tips in the app. Brian - it will be fixed in the next release... Possibles you even this weekend! Questions? Please use the moderated comments for support on any posting for feedback. Don't forget - I do this in my spare time! Known issue list is here. Sources are available on GitHub. PDX Bus won a CivicApps.org award for "Best in Show" and "Most Appealing". Download from the App store! (c) Andrew Wallace 2011. Picture Window theme. Theme images by Airyelf. Powered by Blogger.